No doubt that AI is the new kids on the block. From as simple as classifying hot-dog vs not hot-dog, recognising flower species and going towards science fiction realm in generating fake videos. This talk will cover the problem with supervised learning which is what most of current AI technologies are based on and what is the promising trend towards the future of AI with unsupervised learning. As a use case, we will cover how image generation techniques such as Variational Auto-encoder extract knowledge from images in an unsupervised manner. Most technical explanation in this talk will be done at intuition level to make sure that anyone at any technical level can enjoy and understand. I will start with the introduction of supervised learning especially in image recognition, showing you cool things we can do with it and pointing out why they don't scale well and not that practical. 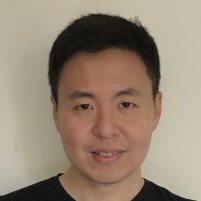 Next, I will jump into unsupervised learning, telling you the latest trend in generative AI which can learn to extract information/knowledge through technique such as Variational Auto-encoder and GAN. I will also show you how we use them to build something like what we only normally see in science fiction movie such as image content reconstruction, modification, and super resolution. Finally, I will discuss why unsupervised learning is critical towards Artificial General Intelligence, the smart machine that we are all dreaming about to have one day. How does it fits and what else are still missing. Audience will gain an understanding of why supervised learning, though it is cool have so many drawbacks. What is the current state of the art unsupervised learning technique especially in image generation. Why unsupervised learning is critical towards the future of AI. They will also learn how does Variational Auto Encoder and GAN works at intuition level. I have presented at three AI & Machine Learning conferences. On several occasions I was also invited by other companies to give a talk on AI.